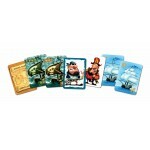 The cards show trading ships and pirate ships, with pirates and an admiral. 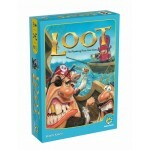 Players send a trading ship of value on a voyage in which it must survive a round of attacks from other player's pirate ships. You defend your traders with your own pirates and collect the spoils of your attacks elsewhere. 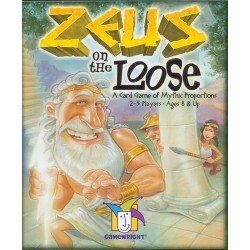 Description for the Heidelberger release: Essen release, 2002. In the nice small black box, with embossed lettering. An improved version of Buccaneer. 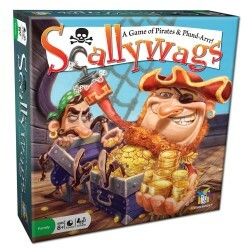 This game has 25 Trade ships worth different amounts of gold (from 2 to 8), 48 Pirate ships, 12 each in 4 colors. The Pirate ships are worth 1-4 skulls (the player with the most skulls played on a trade ship captures it if the lead is kept for one full pass around the table). 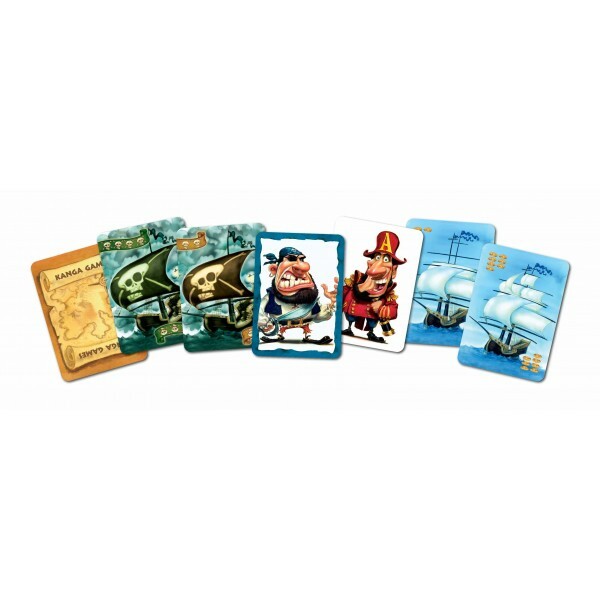 There are 4 Pirate Captains (1 of each color) to help win the battles and 1 Admiral to help defend the trade ships. The game is playable with 2-5 players individually. With partners it can be played with up to 6 or 8.